Just one day after President Donald Trump told non-Americans to stay out of the country, the Republican mayor of America’s largest border city sent a completely opposite message. 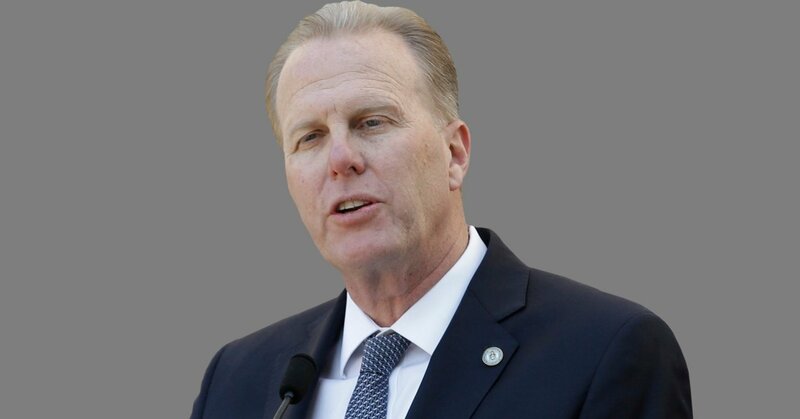 On Monday, San Diego Mayor Kevin Faulconer announced a 5-year plan to make the city more welcoming to immigrants. Officials said that more than 800,000 immigrants live in San Diego County, making up nearly 25 percent of the population, according to local station KGTV. The five-year plan includes $70,000 for an immigrant affairs manager who can coordinate existing efforts to serve immigrant and refugee communities and to implement the 20-some recommendations in the plan, according to the LA Times. Joel Day, a staffer for the mayor, admitted that San Diego’s plan is a lot different than the approach taken by the Trump administration. Some of the recommendations in the plan include increasing civil engagement, providing more opportunities to immigrant workers and entrepreneurs, increasing access to education and city services and improving relationships between immigrant communities and local police. Other recommendations are more lighthearted, such as a San Diego World Cup soccer tournament made up of teams from different neighborhoods. Although many civic leaders are supporting the plan, some worry it will be scrapped by a future mayor unless steps are taken now. “For us this plan will remain just that — a plan — unless we commit the resources to make it happen,” Karim Bouris, executive director of Business for Good and member of the steering committee, told the Times.